I started my makeup journey with liquid eyeliners! They were the first product that I had used and loved. Therefore, if some of you find that I line my eyes pretty well then it’s just the practice I had for almost a decade I would say! 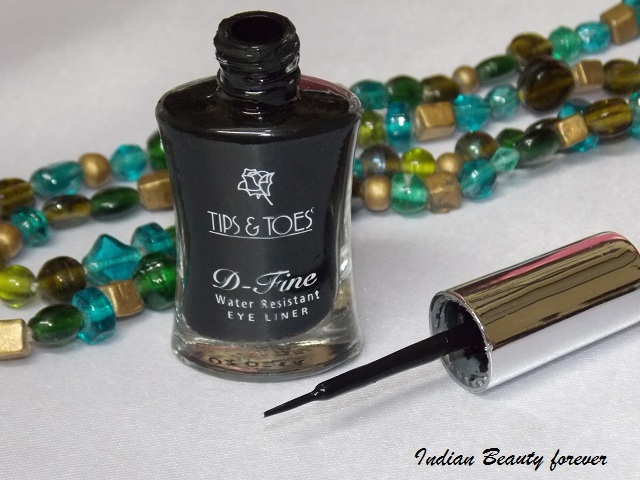 In this post, I will review Tips and Toes Liquid eyeliner. Now that gel, cream and pencil versions are quite popular due to their quick application and almost zero waiting time while they get dry, liquid eyeliners still have their own charm. This liquid eyeliner comes in a glass flattened bottle, pinched from the middle with a silver mirror finished cap. Quite decently okay packaging. 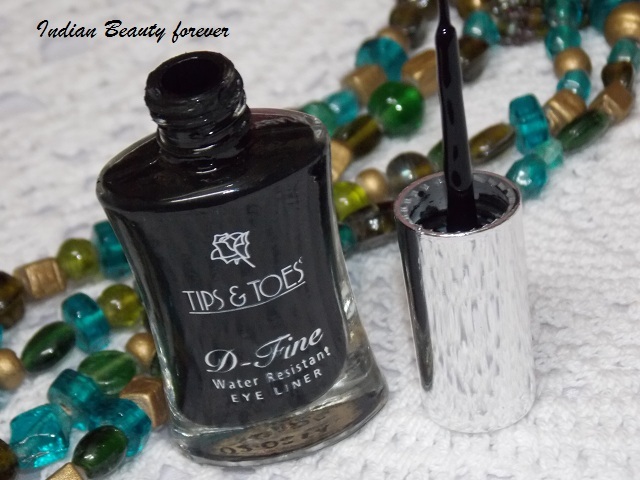 Even before, I opened the bottle I had the thought or notion that it would be one of those regular liquid watery eyeliners, But after the first application or swatch, I realized that it’s much more than that. Whenever, I like a product that is cheap (yes, it’s just for 70 bucks) and works effectively, I really want you to know about it! 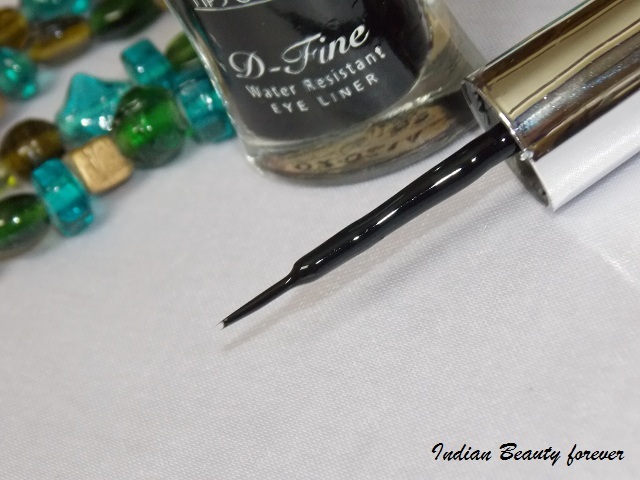 The first thumbs up for this eyeliner are its bristles. They are well aligned to form a pointed tip and you might be aware that how important it is for the brush to have the bristles going nicely in a tapered manner. Firstly it ensures a precise application and the flexibility to draw thin lines. Secondly, when the bristles are not clung together properly or are scattered then they might give you those terrible parallel lines. It has a thin and pointed brush that works really well. Pigmentation is just superb. The arm swatch that you see is just a swipe with a light hand. It is so pigmented that it almost feels like as if there is no water content in it! 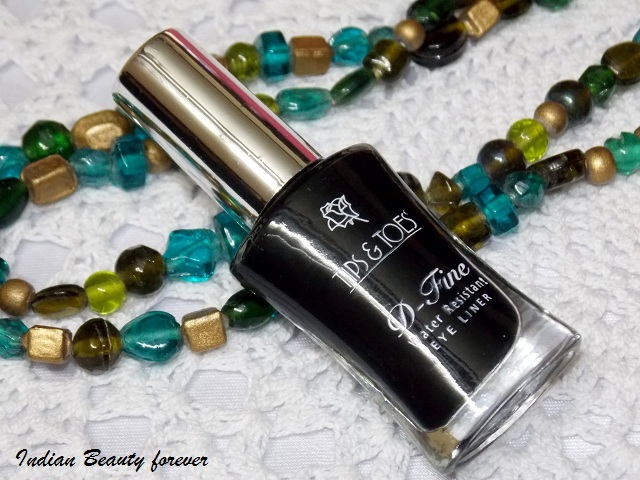 It is a rich jet black color which even when dries stays the same. When it is still wet obviously it will appear glossy and once dried you can expect a matte jet black color! It takes some time to get dry and you know how much time the liquid eyeliners take. I had to fan myself to let it dry fast and was getting really impatient. Gel and pencil liners has spoiled me! It stays quite decently and longer than the regular liquid eyeliners and can be washed off with water or makeup remover. 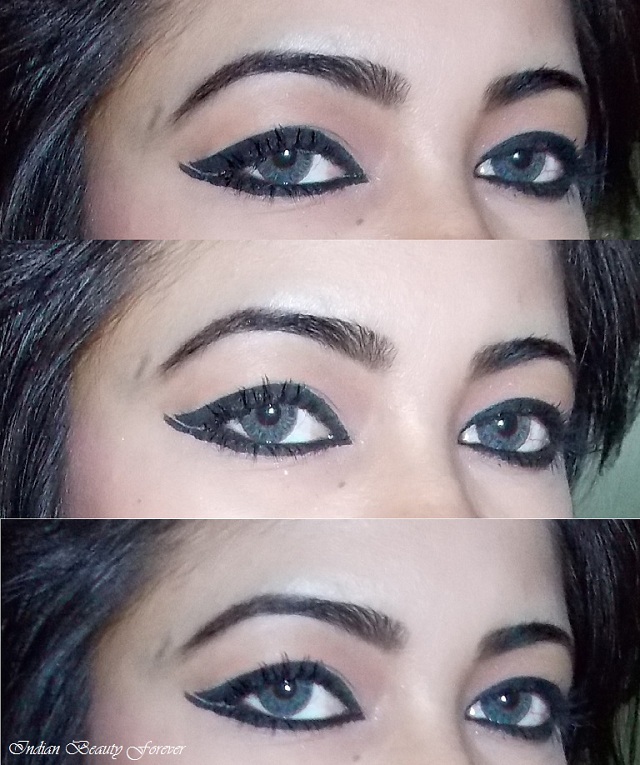 The eye swatches that you see, there have tried to do a rounded double winged style more like a graphic eyeliner. Since I liked it a lot, this time I did it on my other eye as well, to see how it’s going to look, else you know, I can be really lazy at times, in doing both the eyes unless it's makeup look!. 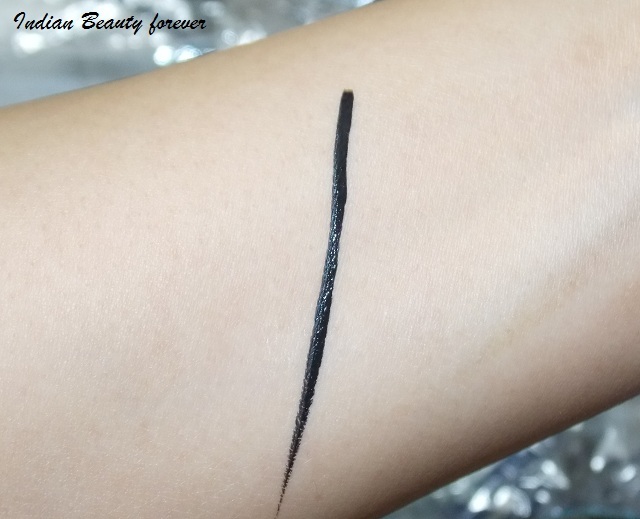 I like everything about this liquid eyeliner except for the fact that they have not mentioned any manufacturing or expiry or any other detail regarding the product. I have used it a lot of times and have not faced any problems but still, I have a concern there, regarding the details. Take: I am highly impressed with this Tips & Toes Liquid eyeliner. If you find it anywhere online or in the shops, do try it, it is inexpensive and definitely a good buy!